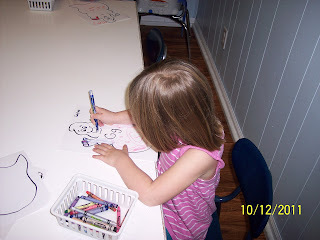 As part of our letter G activities, we read a street safety book (the name of which escapes me now). 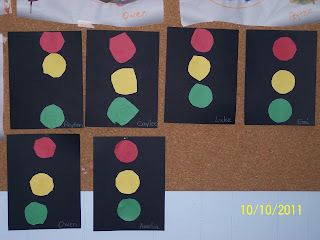 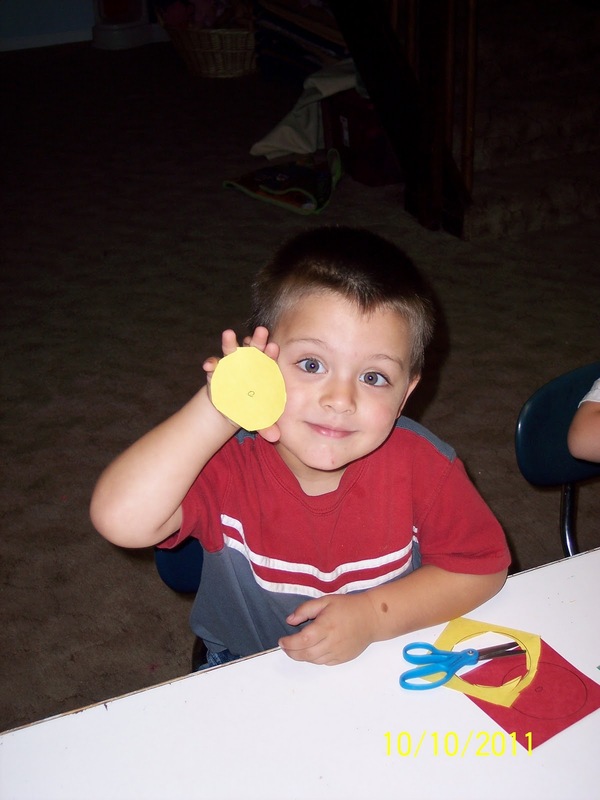 The book talked about stoplights and the meaning of the colors. 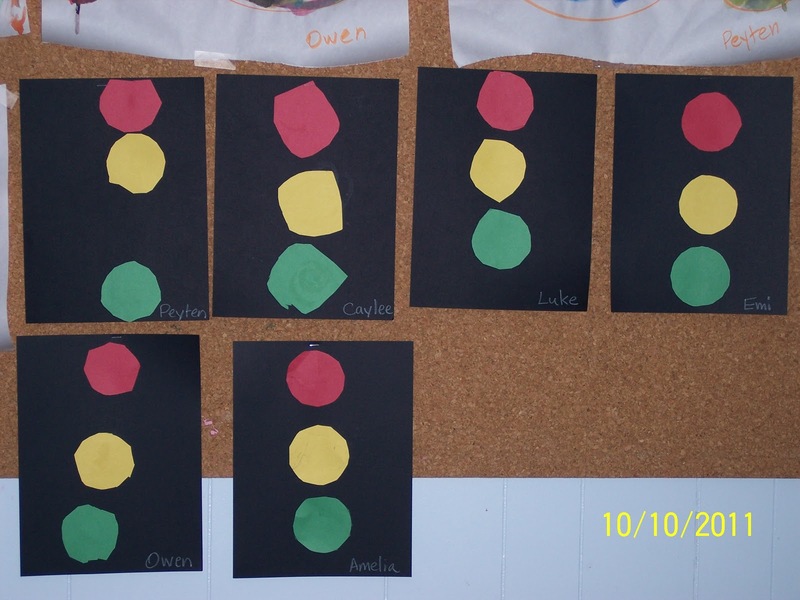 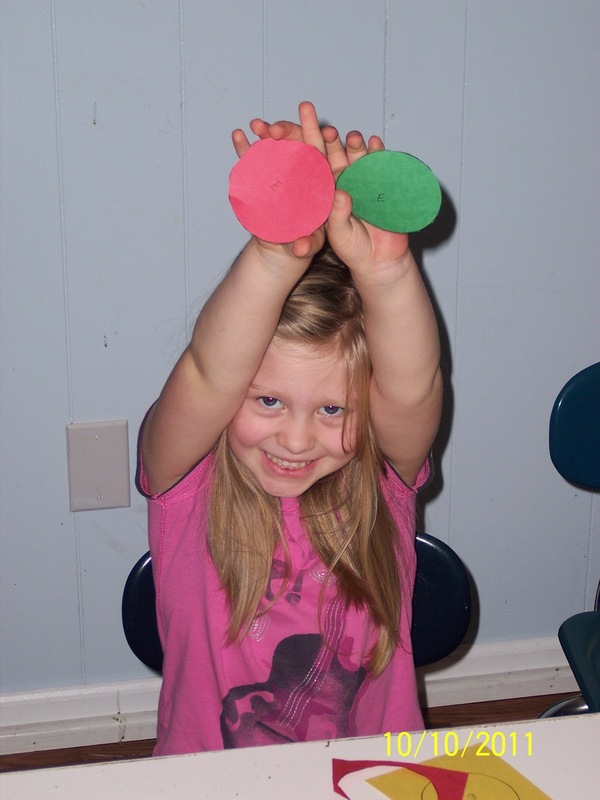 Since "green" and "go" both start with g, we HAD to make a stoplight. This is the first project that the kids did entirely by themselves with very limited adult instruction (basically showed them a finished one and said, "go make one."). I thought they turned out quite good and the kids were super excited that they could cut on their own. 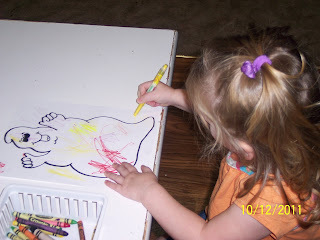 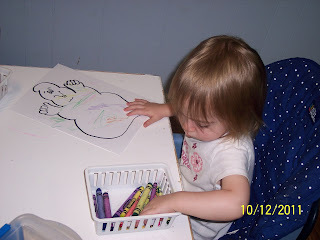 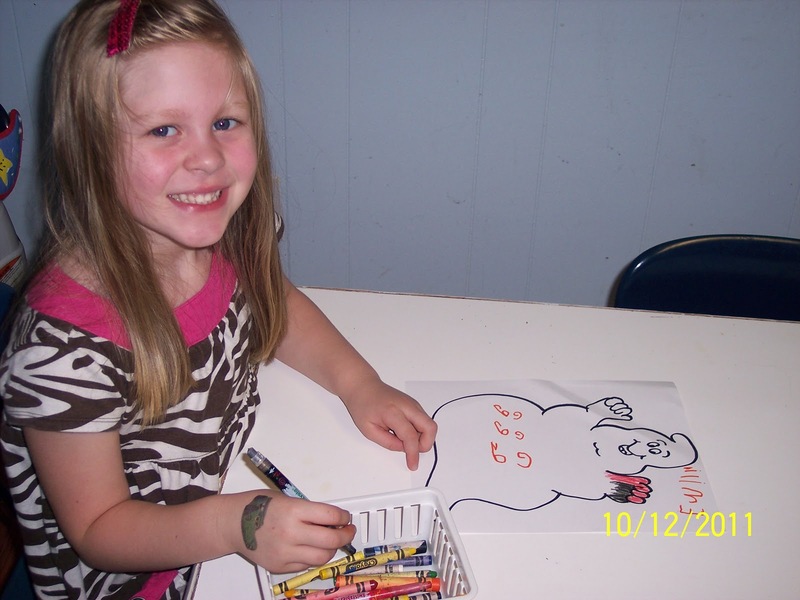 In honor of the Halloween season we practiced writing the letter G on ghosts, which were then decorated. 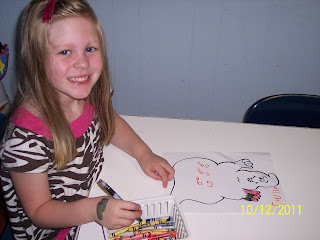 The kids all think it's great fun that there are Halloween words that begin with the letter they are learning!